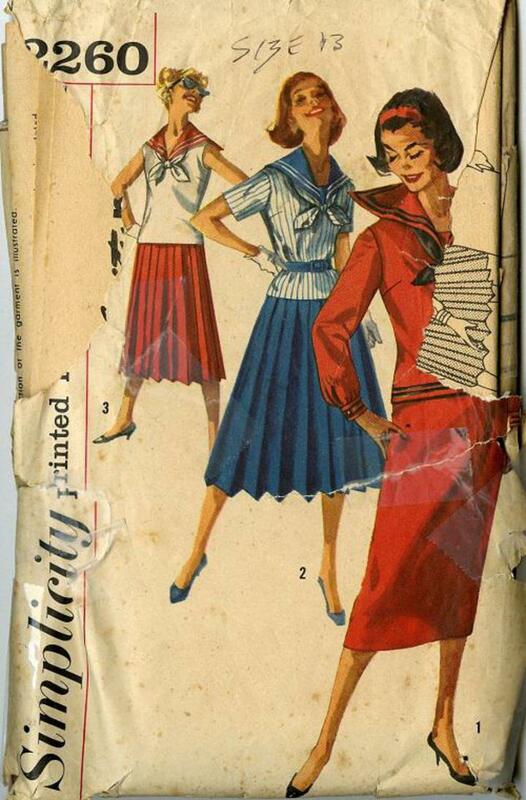 1957 Simplicity #2260 vintage sewing pattern, junior misses' two-piece dress with two skirts, tie and sailor collar, size 13. Middy top has sailor collar trimmed with braid, bestee and pert tie. 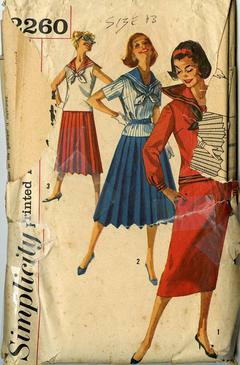 Three sleeve options, straight or pleated skirt. Envelope in poor condition, pattern pcs. in good condition.